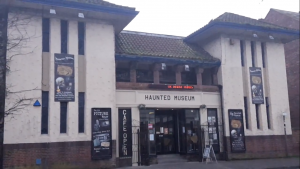 Haunted Museum, hosted by UK Ghost Hunts (UKGH) recently opened its doors to the public, located on Woodborough Road in the Mapperley area of the city of Nottingham. Owner Steve Wessen spoke openly of the challenges of finding such a building to house the intended vision and the collection. Happenstance and perhaps a stroke of good fortune came up trumps with the former picture house and brief golf shop. The layers of the story of the building itself hold an interest as intriguing as the artifacts on presentation. The once Majestic Picture house/cinema welcomed the public to screenings from the mid-1920s – closing up in 1957. Steve claimed it has been extremely difficult to gather any further info, other than former maps and a single photograph held behind the initial counter of its heyday. Layers are indeed part of the tapestry at the core of the venue, now the work in progress Haunted Museum. An inviting tea, coffee and snack bar at the front, with a friendly chatty team of volunteers on hand with personal stories and anecdotes to tell. 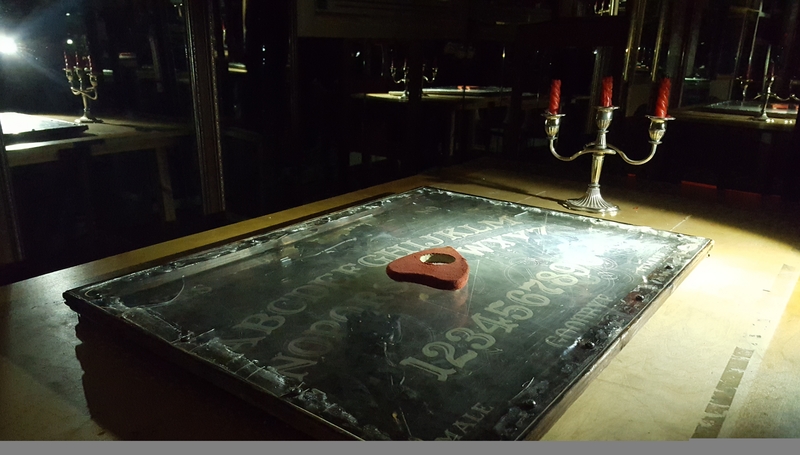 Strikingly, there are numerous of Ouija boards that adorn the walls and cabinets, including an inventive custom spring coil Ouija board meets Tipping table combination. (Which may have to purchase in the near future.) The museum tour, lead on the day by Aaron. Took me through to a spooky toilet! Before descending into the lowers bowels of the building, with a mortuary theme complete with a restraint fitted bed from an asylum donated to the museum. Stories told involve its use, in the form of a onate trigger object and encouraging individuals to lay upon the metal bed. Apparitional arms and strange occurrences are alleged to have been experienced by participants. With camera feed watching from above to the cafe area. A devilish attic room, where figures are apparently regularly observed. Shadow people allegedly make themselves present here. 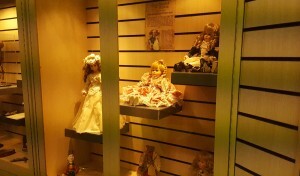 ‘Martha’, a fabric doll of considerable age, within a cabinet acts as a centre-piece for the Haunted Museum collection. Recounting stories and strange events. 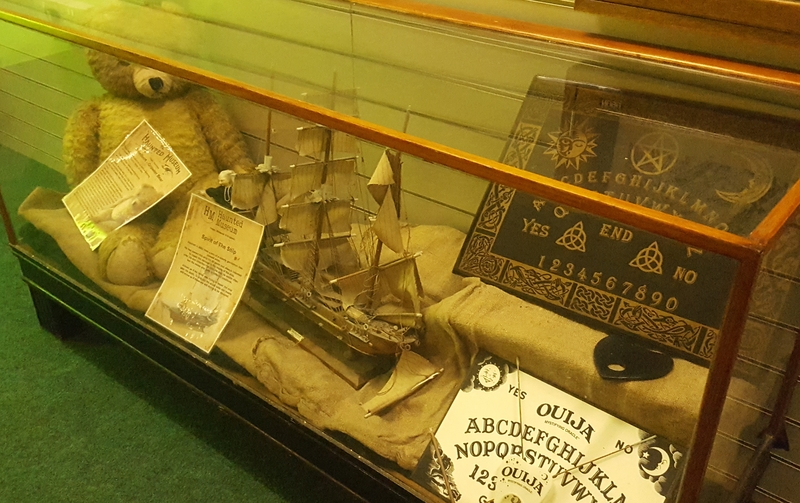 It is a themed room complete with a pentagram of safety from the entity claimed to be within. 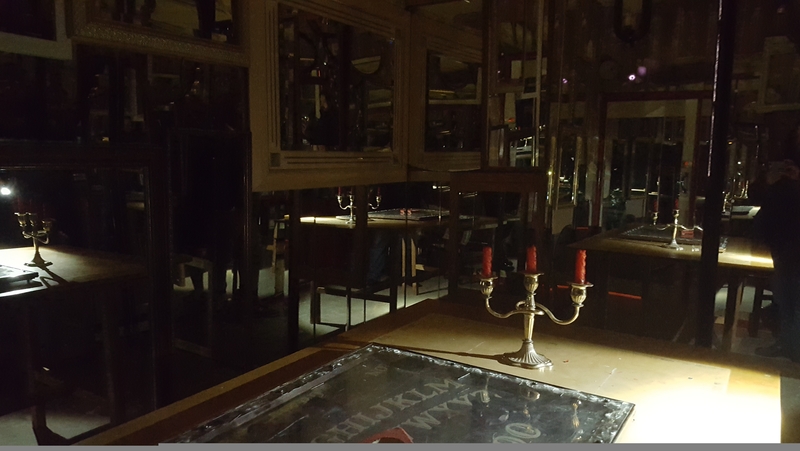 A room of mirrors currently under construction, paranormal investigators often refer to a box of mirrors as a “devil’s toy box”. Steve and the team are building a full-size room, to be their toy box, with more than 100 mirrors already in place. A ceiling and floor to complete with a large glow in the dark Ouija board on a table in the middle. The ‘dark tourist’ in us, was awash following access to an open area of the unusual and macabre. 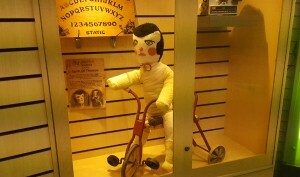 ‘Thomas’, a doll created from the bandages of an individual now deceased. Who it was claimed moves, apparently captured on camera raising his arm. 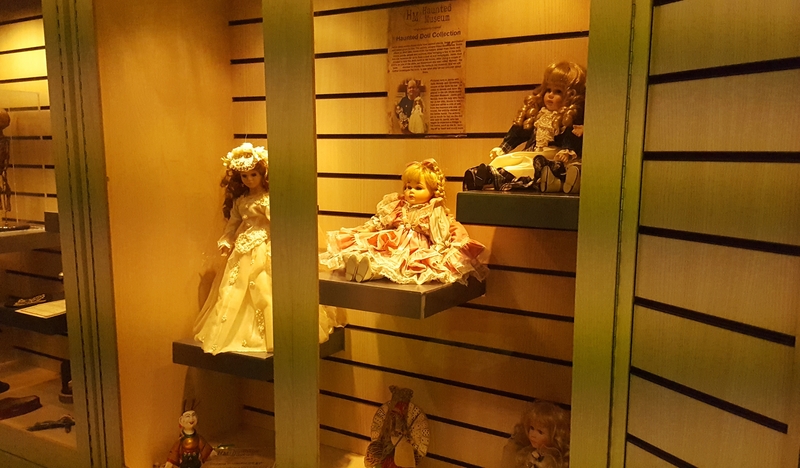 Objects claimed to be haunted and memorabilia fills a large space. 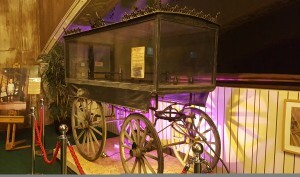 Featuring a traditional formerly horse-drawn hearse cabinet, with the original glass still intact and in excellent condition, for which the Haunted Museum proudly is declaring to be the one of the last, if not the last in the UK. 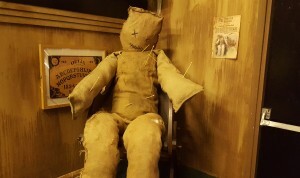 Man-size voodoo doll. A number of dybbuk boxes – each supposed to seal a possessed spirit within, held by prayer, candle wax and string. One heavily sealed has a Hebrew engraving translating as “holding the demon within”. A wall dedicated to everyone’s favourite Londoner Jack the Ripper. There is a growing collection with the museum, Steve and the guides spoke openly about donations of items coming in frequently. The wide open theatre platform would lend itself fantastically to regular talks, presentations and guests. UKGH are one of the more successful paranormal hunting groups and event organizers with a strong foothold presence. The members deject quite strongly any use of theatrics and stooges. 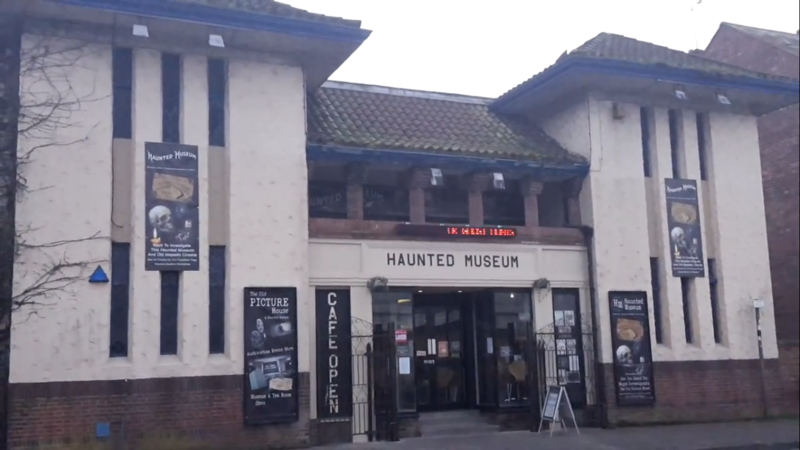 The building appears to double up not just as a venue to be the host of the collection, but an alleged haunted venue for groups to hire and their passion to explore the paranormal themselves. 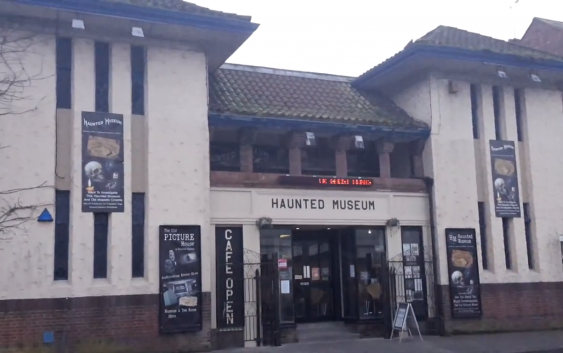 Nottingham’s Haunted Museum has a small nominal tour fee of £4 per person that goes towards the upkeep and maintenance of the building. The team were open and frank about the running costs and what the costs have been to reach this point. 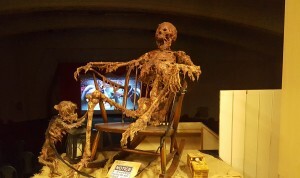 Find out more visit UK Ghost Hunts.co.uk for a glimpse into the menagerie of strange and weird. Open Tuesday – Friday 11am – 6pm open.